9 cars in total. In used condition Dispatched with Royal Mail 2nd Class. Light and Sounds Police Car by ELC. Pre-loved. DS - DS2102 - ELC Police car. ● This police car includes flashing lights and fun sounds, just like a real police car. Put the driver in the front of the car to hear him say fun phrases or press the steering wheel for funny sounds. 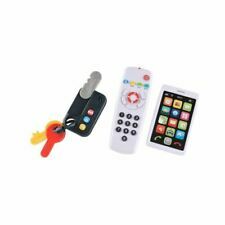 A set of 5 Early Learning Centre magnetic pull along cars. Early Learning Centre. An ideal gift for a special occasion. Pictures are real and weren't changed in any software. Kindly inform us. No batteries included. All toys have been used. Condition is Good. Missing the helipad landing ⭕️ circle. They are in very good condition. Pictures are real and weren't changed in any software. Look up for our different range of products. Kindly inform us. No batteries included. Early Learning Centre / ELC - Whizz Car Transporter & Magnetic Cars Bundle. Condition is Used. From a pet and smoke free home. 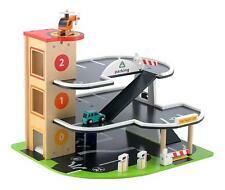 ELC Whizz Car Transporter & Magnetic Vehicles Bundle. Car Transporter with Sound and Two Cars. Three Sets of Magnetic Vehicles. ELC magnetic vehicles bundle. Good used condition, some light marks. Free postage in uk Please see my other items for sale can offer discount on more than one item From smoke free home Message me for postage quote outside the uk. ELC magnetic vehicles bundle. 4 vehicles. Good used condition, some light marks. Free postage in uk Please see my other items for sale can offer discount on more than one item From smoke free home Message me for postage quote outside the uk. TRAVELS ROUND THE DINO FLEXI TRAX FINE AND HAS WORKING HEADLIGHT. ELC FLEXI-TRAX CAR/JEEP. GOOD WORKING ORDER WITH BATTERIES. Elc Rosies World Bundle.car.horse box.ice cream. Scooter. 5 x dolls. Nice little lot including 5 dolls Just seen that the ice cream cart takes batteries but cant seem to get it to work. But will try again. Hi You are purchasing ELC Happyland bundle of toys: musical house(the door is missing), figures, cars included set of 3 racing cars- all as seen. In good, clean condition. I'm sure will bring a lot of fun for a new owner. Pls check my other items. Save money. Can combine postage on request. Age 3 . Small parts. Game needs supervision of an adult. Dispatch time: mon-fri 5pm I keep all proof of postage. Good luck and a happy bidding. We send to all EU countries. Look up for our different range of products. Kindly inform us. No batteries included. ELC Big City Garage - With Loads Of Cars! We send to all EU countries. They are in very good condition. Kindly inform us. No batteries included. All toys have been used. 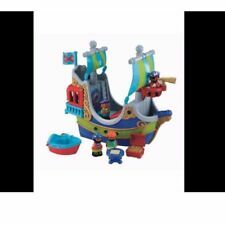 Early Learning Centre Happy Street Car Wah player, compatible with other Happy Land sets and items, but one of the original sets produced. Complete except for a green item which I think may have been an emergency phone. 2 cars and 2 figures, not sure whether these were the originals as sets have been interchanged over the years! Please check fotos for details. Also selling vintage Happy Street World Tour - with models of iconic tourist attractions from England and other countries, and a rare Happy Street jigsaw / floor puzzle 2 pack set. UK Bidders / postage only. Any questions or additional details required - please just ask. Please pay within 2 days of purchase. Non smoking household Thanks for looking.